"Nestled in the middle of 30-acre of coffee plantation surrounded by misty hills and lush forests of Wayanad lies Aranyakam Homestay. The ancestral home of a coffee planter, the family now welcomes guest to their charming home. The exquisite ecological setting offer a number of delightful experiences. Watch fireflies dance in the dark, clouds descend on your nature walks or explore the plantation, and spot quite a few endemic species of birds. Relaxing in every way, it is the ultimate getaway in God's Own Country of Kerala. Aranyakam Homestay is an ancestral home built in Kerala-style architecture. 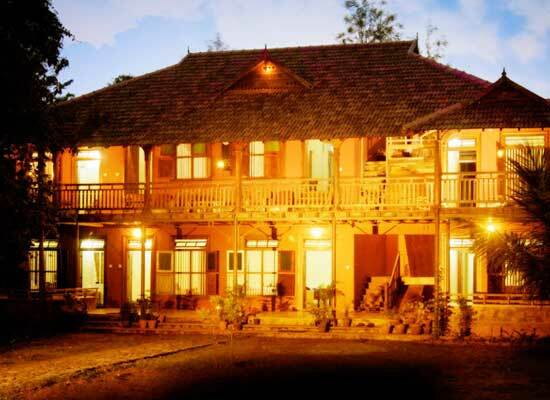 The pleasant heritage hotel in Wayanad is one of the wonderful getaways in the blessed lands. 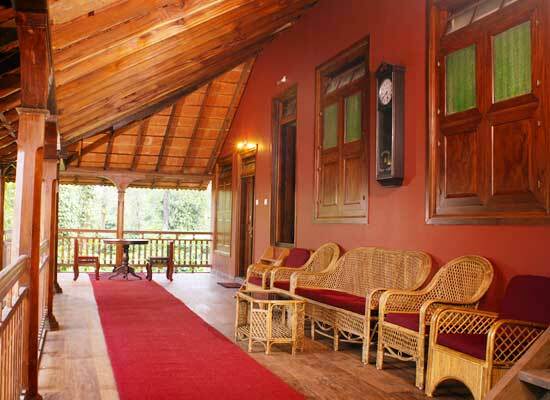 The homestay property has a vast courtyard which has independent huts along with a heritage bungalow and a tree house. All accommodations have wooden floors, high ceilings and eco-friendly furnishings, well equipped with modern amenities. 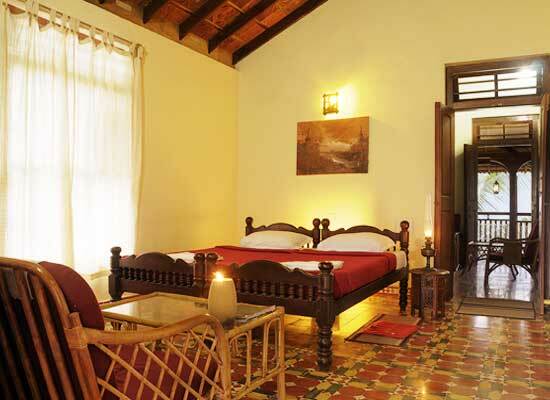 Deluxe rooms of the ancestral cottage retains its authentic charm. The comfy rooms has attached bathroom, and balcony overlooking Chembra mountain ranges. 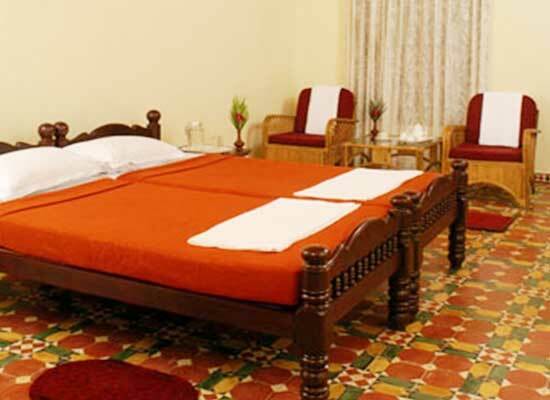 Guests have access to all modern amenities and in addition of natural bliss. Suites in Aranyakam Homestay are stylish and spacious with all modern luxuries. The suite has a drawing room, spacious bedroom with en-suite bath, dressing area and balcony with beautiful views of the plantation and mountains. 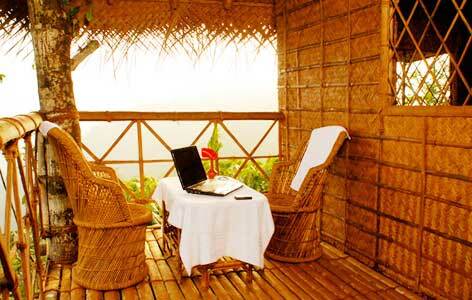 The Tree House is a pleasant accommodation in the homestay. 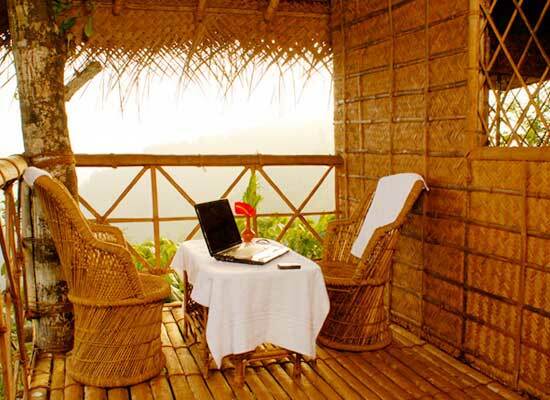 High up on a tree, it offers a breathtaking view of the hills, the forest and the plantations. Remarkably comfortable, the Tree House has a huge bed, en-suite bathroom with hot water supply and a balcony with wicker chairs. Guests can spot birds, mongoose and porcupine, though none can get into the tree house. The homestay is managed by the family and staff and dining is their speciality. Created from fresh produce of the organic gardens of Wayanad, authentic Kerala cuisine is served. The menu changes daily and generally has the specialties of Wayanad. Spices, fruits, organic vegetables and all natural products are on the menu. The dining area in the homestay overlooks a landscaped garden. 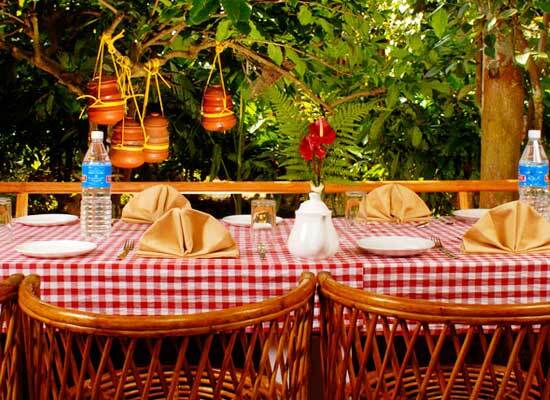 Have appetizing meals of Kerala seated comfortably amid exotic plants and flowers. Nestled at an altitude of 2100 m in the Western Ghats, Wayanad is one of the most beautiful places to visit in Kerala. Blessed with exotic plantations of rubber, coffee, tea, cardamom and pepper that stretch over the hills, the scenic bliss is its unique charm. Also the thrilling challenge of trekking, hiking, jungle safaris, bird watching lure guests from far ends of the globe.